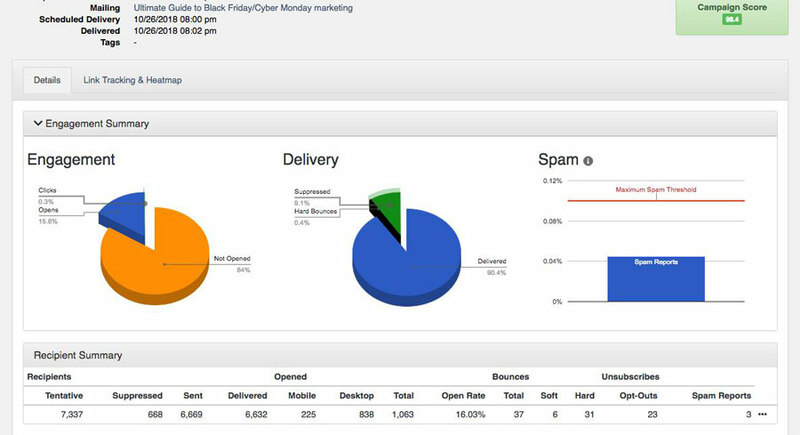 ReachMail is a simple to use self-service email marketing platform, with many features like autoresponders, survey builder, segmentation and automation options. Build from the ground up with promotional marketing in mind. ReachMail has assisted clientele ranging from small start-ups to large multi-national corporations for over a decade. Customers enjoy unlimited support included in their plan. Are you looking for an ReachMail alternative for your email marketing? We listed some ReachMail alternatives. Includes a two-year history for past delivery statistics. Access to openers, clicker data including timestamps, IP, browser data. 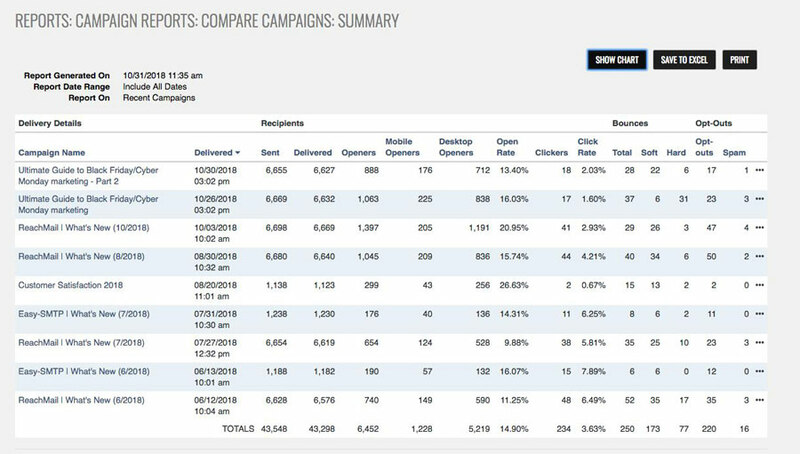 Aggregate reporting as well and individual email campaign reporting. ReachMail offers a classic WYSIWYG editor and a new Message Builder: a drag and drop designer for building professional, mobile-ready messages. Choose from premade responsive templates to use with the WYSIWYG editor or import your own HTML. 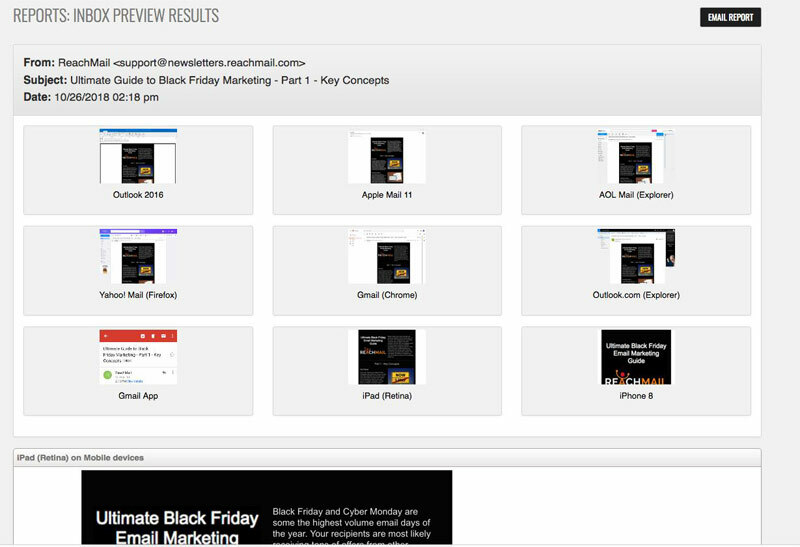 ReachMail integrates Inbox Previews from Litmus. Available to paid accounts, Inbox Previews show you what your message looks like in several email clients before you send. A/B Split testing wizard is build in for all accounts. Test up to 5 messages at a time to find out what’s working best. Merge lists, deduplication. Dedicated list reports for detailed analysis. 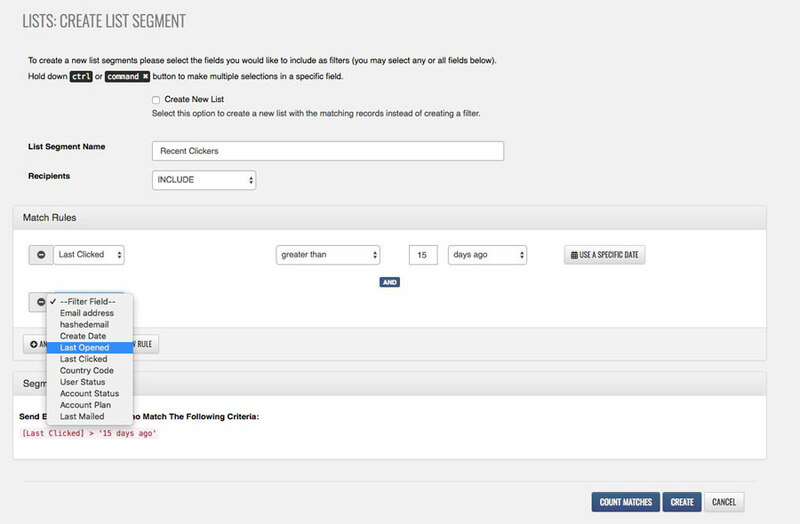 The Engagement Scanner can find your non-responders so they can be set aside for re-engagement campaigns. List Segmentation can be used to target efforts and increase ROI. Segment on engagement, geolocation, demographic data and other available profile data. Personalize messages with tags. Unlimited storage size is offered for PDF, HTML pages and images. Build sign up form code with the form wizard. Host the form on your own site or with ReachMail. Nurture new recipients and grow your sales funnel with AutoResponder drip-campaigns. The Restful API is available for all clientele and integrated with Zapier.